Areas We Guide | Hookers Fly Shop and Guide Service. Your Smokies Fly Fishing Experience. Besides the Great Smoky Mountains National Park there are numerous other places to catch a nice trout. 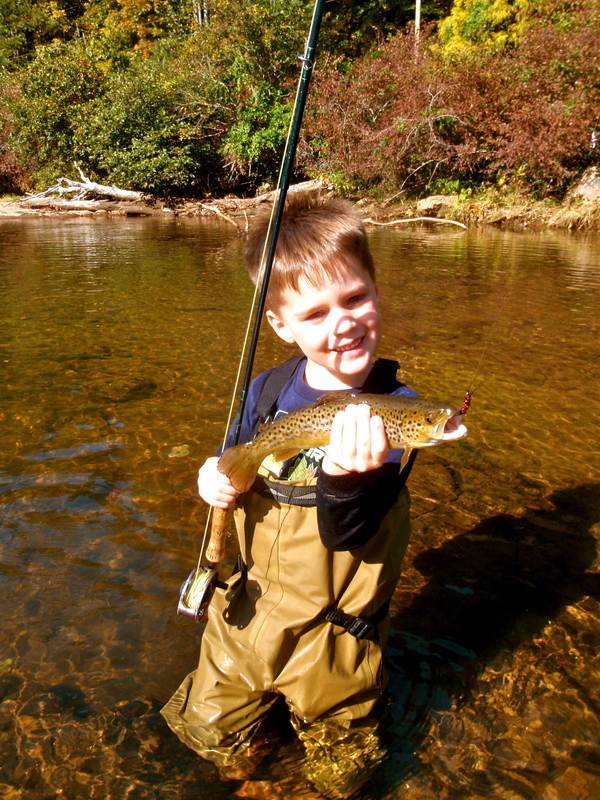 Western North Carolina features miles upon miles of great trout fishing. From special designated Wild Trout Water, Hatchery Supported Streams, to full blown western style rivers that are under special Delayed Harvest programs there is truly something for everyone to enjoy. Fly fishing guided trip on the WNC Fly Fishing Trail. Fly fishing guides for Cherokee, NC including Raven Fork, Soco Creek and the Oconaluftee. Fly fishing the East, West and Middle Prong of the Pigeon River including the Delayed Harvest Section. We love what we do and it shows! With over 300 trips a year, no other outfitter in the area offers more types of trips . We even work with big groups and families. Hookers Fly Shop’s guided trips truly are the ultimate experience in fishing the Smokies! We encourage you to browse our site and see what Hookers Fly Shop and Guide Service has to offer and find out why they call us “The Best Little Fly Shop in the Smokies”. We are permitted, licensed and insured to operate in the Nantahala National Forest and the Great Smoky Mountains National Park.